The Labour Party's New Zealand Council may grant life membership for exceptional service to the party. A minimum membership of 25 years is required. 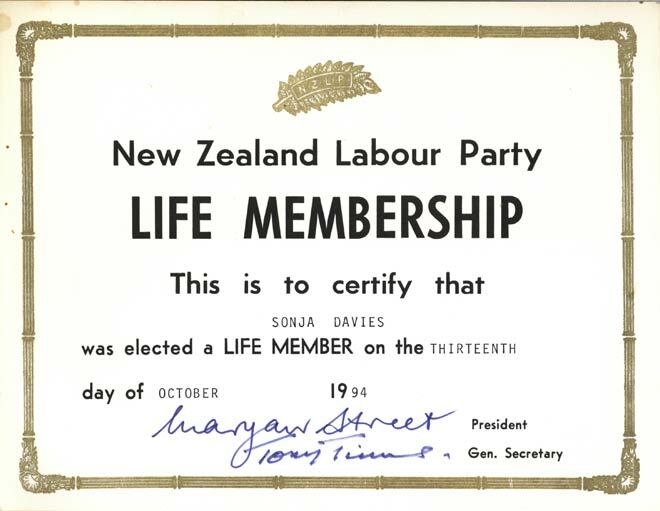 This is the life membership card issued to Sonja Davies in 1994. Davies had been an active member of the Nelson branch of the party since the 1950s, and served as MP for the Pencarrow electorate in Wellington from 1987 to 1993.